USING A KETTLE FOR TEA TAKES TOO LONG AND PRODUCES WATER THA - ProudMummy.com the Web's Community for Mums. 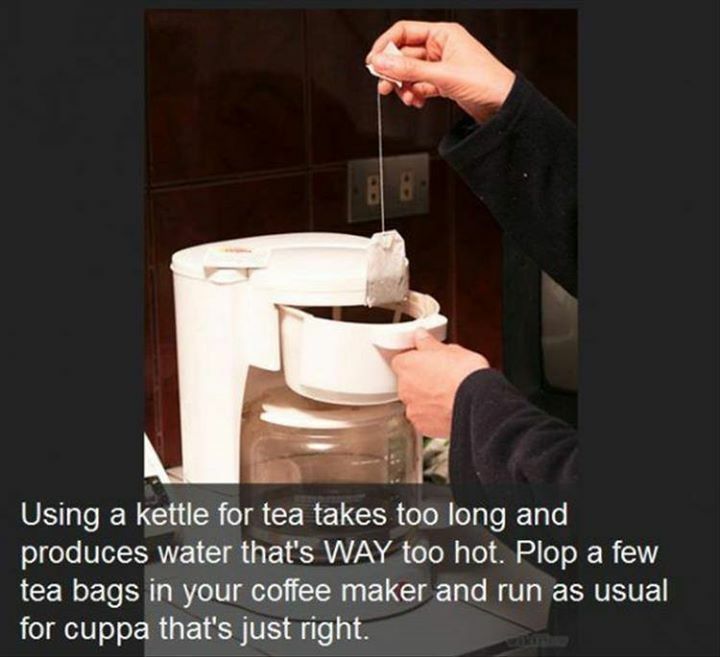 USING A KETTLE FOR TEA TAKES TOO LONG AND PRODUCES WATER THAT'S WAY TOO HOT. PLOP A FEW TEA BAGS IN YOUR COFFEE MAKER AND RUN AS USUAL FOR CUPPA THAT'S JUST RIGHT.